When signing up with a VoIP provider, it’s extremely important to know what you are getting into when you sign that agreement. 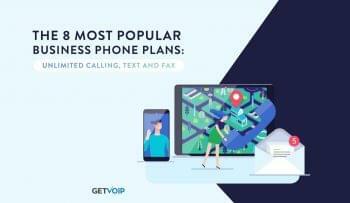 We called up 19 of the top names in business VoIP, gave them a sample business, and obtained actual quotes and agreements to take a deeper look at things. In our hypothetical business, we needed ten users (aka seats/extensions), one new phone number, and ten new phones. Whenever possible, we wanted to have the Polycom VVX500 as our phone, but many providers gave different models away as part of their package. We wanted to get the best deal possible, so we asked about possible discounts. We also combed through the fine print to find little details. As you’ll see below, many providers limited their “unlimited” service to “fair use,” to prevent fraud and abuse. We also found warnings about emergency service, late payment penalties, and even how they handle serious legal liabilities. Our findings are below. $250/mo for a ten-user hosted PBX solution, plus collecting taxes and fees that bring the total up to $315/mo. Nextiva does not offer pre-paid discounts, but they do give away free basic phones (the Yealink T20), so long as you are with them for three months. The VVX500 is $250/phone, and comes pre-provisioned. You can also get delayed billing, meaning you get 90 days before your first bill. Although they don’t charge activation fees, they collect shipping and taxes, which brings the startup cost to $110.62. Important Fine Print: Nextiva acknowledges specifically that it is not a telephone service, and is subject to service interruptions beyond their control. This includes possibly not supporting collect calls and 900 numbers, 311, and 511; they deny any liability for inability to dial security/law enforcement/fire department; any dispute is subject to arbitration (rather than jury court). They have lower upfront costs because they lock you into a long-term contract. For our phone, the Polycom VVX500, it costs $212.95 + 22.95 for a power supply, making the total $235.90. They do not offer service discounts, preferring simplified pricing models, but, if you find a cheaper phone than the ones they offer, they will assist you in provisioning the phones. Important Fine Print: Jive is not a telecommunications service, and as such is subject to restrictions and possible service interruptions, also does not support operator-assisted/x11 calls; contract automatically renews, you must give non-renewal notice within ten days of the term ending; service only available in the United States; if there is theft of service, you are held responsible, including paying for, any fraudulent usage before you notify Jive; Jive charges interest at a rate of 12% per annum for delinquent payments; mandatory arbitration rather than jury trial in the event of a dispute; if you are in a contract plan, you are subject to a $100 fee per VoIP user early termination fee. RingCentral offers a hefty, and unlisted, discount on the Polycom VVX500, selling it for $174 with their service. The hardware in our estimate comes to a total of $1,740. Polycom VVX500 or best price phone: $174 after discount. Important Fine Print: RingCentral acknowledges that their 911 service is different from traditional 911 service; RingCentral notes that they may be able to mitigate fraudulent usage; in the event of late payment, RingCentral charges 18% interest; RingCentral agrees to negotiate disputes in good faith, and if an agreement can not be reached, disputes shall be adjudicated in California courts. $252.54/mo for a ten-user hosted PBX solution, including taxes and fees. The Startup cost is $200 activation fee + $15 standard shipping, (express shipping is $10 more), and then following that, there is 50% off for both first and second month’s bill, which in this case is $99.95. Vonage for Business sells the Polycom VVX500 for $234.99, or will help provision if you buy from another vendor. As of this writing, they are running a promotion where they will give you a free Yealink T20 (same as Nextiva). Important Fine Print: There is monthly contract, and you must give 72-hour notice of non-renewal; if for some reason you do not pay with a credit card, you can pay by check with a $10 processing fee; If you are late in payment, you will be charged 1.5% per month charge, and you may be subject to immediate suspension of service and a $25 reconnect fee; any dispute may be subject to arbitration rather than a jury trial; Vocalocity acknowledges that its 911 service is different from traditional 911, and denies any liability if emergency calls are misrouted, similarly, Vocalocity service is not designed to work with alarm systems. $469.98/mo for a ten-user hosted PBX solution, the Startup cost: $725.38. The incentive is free Polycom VVX500 phones with 2-yr contract, plus an add’l $500 rebate. Without the contract, you can buy the Polycom VVX500 for $249.99 which includes the power supply. Important Fine Print: Late payments are subject to a $10 fee or a 1.5% penalty, whichever is greater; any disputes will have mandatory arbitration; 8×8 acknowledges that their equipment is not necessarily compatible with alarm systems and other PSTN equipment; if a Plus Extension Service Plan customer disconnects in the middle of their first one-year contract, 8×8 will charge a $200 disconnect fee per extension; if a video subscription service customer terminates a contract, 8×8 will charge a $99.99 fee; there is no service level agreement, and if 8×8 cannot provide service for any reason, they will not provide a partial refund; no fax, even paperless fax, is included at this price. They include Grandstream IP phones. The monthly cost is $250 for ten-user hosted PBX solution. Ringio has a no startup costs with a one-year contract. Important Fine Print: User may make one copy of the Ringio software for backup purposes, the license remains active while your subscription is active; license is governed by the laws of Virginia; the software may not be exported to certain countries that the U.S. Has an embargo on, including Libya, North Korea, Iran or Syria. Their listed price is a flat $20/mo for all phone service, but the sales reps are authorized to go down to as low as $15.00 per month if you negotiate well enough. In either case, Phonebooth sales taxes and regulatory fees are $3 per user. Phonebooth sells Yealink phones, the least expensive of which is T20 for $69.00, making the startup cost $690.00 for ten phones. Important Fine Print: Phonebooth on Demand does not offer fax, but does recommend certain paperless fax providers. In the event of a dispute, the case will be adjudicated in the state of North Carolina. 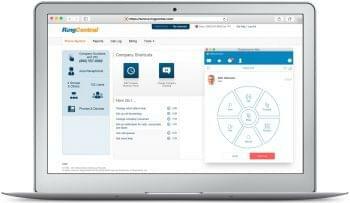 Digium offers a ten-user hosted PBX solution for $350, but offer discounts with long-term contracts up to three years, which brings the price down to as low as $290. Taxes will bring that up about $85/mo. Digium exclusively uses their in-house phones. The least expensive 2-line phone was the Digium D40, which is $140 each, or $1,400 for ten. VoIP.com includes a both a Cisco SPA303 lease and a specialized router in their price, which is $307.68 per month, for two years. Important Fine Print: VoIP.com uses the same national 911 network as traditional telephone companies use, although 911 will not work in the event of a power failure; for any disputed charge, the customer is responsible for any disputed charge beyond 60 days from the date of the charge; all disconnected accounts are subject to a $25 charge; any account that goes to a collection agency is subject to a $25.00 charge; any early termination of a long-term contract is subject to a $99.99 fee or remainder of the contract; VoIP.com’s service is not compatible with alarm systems and other non-voice systems; in the event of a dispute, claims under $5,000 will go to small claims court, and larger claims will go to arbitration; phone number changes will incur a $15 processing fee; VoIP.com offers directory assistance for $0.99/call, and $0.10 per minute after two minutes, offers $3.00 operator-assisted calls. Virtual PBX has a pre-pay option, which discounts the recurring annual price to $3,137.89, the equivalent of $261.50/mo. The startup cost is $3232.79, which includes a free Polycom SoundPoint IP 331 in their annual plan. Important Fine Print: Free phones may be used or refurbished; annual plans must be paid for in full at the beginning of the term; at the end of the annual agreement, the plan is automatically recharged for one year; if the customer cancels annual plan early, there will a four-month minimum charge plus a 20% penalty, customer then must return the phones or pay 50% of their the cost of the phone and keep the phones; Virtual PBX 911 works differently than traditional 911; if you fail to make a payment, you are subject to a penalty and 1.5% per month; if you take advantage of a free trial, you must cancel within the thirty-day free trial period or be billed; if there is a dispute, it may be subject to arbitration. MegaPath brings their startup fee all the way down to zero with the help of a 36-month contract. The monthly cost is $263.87, which includes a Polycom IP 335. Important Fine Print: MegaPath may change the price at the end of the service contract, provided they give 30 days notice that they will do so; customer may opt out of renewing the contract without penalty; continuing to pay the new price constitutes accepting the new prices; MegaPath may charge interest on unpaid charges and charge reconnection fees, but the amount of these fees are not listed in the EULA; any disputes may be settled through arbitration. Fonangle’s basic plan includes a second number. A ten phone plan is $206.00/mo, and that price includes the 911 service fee. The activation charge is $195.00. The best deal on phones was the Yealink T22P which was $89.95 after a $10 promotional discount. Fonangle is backed by an SLA. Ring By Name has a startup cost of $400.63, which includes shipping. Monthly costs are $230.63 for a ten-line PBX. You can also get free Ring By Name IP phones with a year-long contract. Important Fine Print: Ring By Name has a 12-month contract. If you terminate the contract, you must return the equipment and pay shipping, in addition to paying a fee. For ten users, the monthly cost for Ring Office is $250 before taxes, with a free system set-up with a two year contract. They sell VVX500 Polycom phones with AC adapters, with $35 to configure them. Important Fine Print: Ring Office, at this time, does NOT offer ANY 911 service to US customers (only Canadian customers); outstanding balances are subject to a rate of 1.5% per month; Ring Office does not support 900, 976, or collect calling; does not come with a telephone directory. Verizon sells their Polycom VVX500 for $264.00, plus $61.35 shipping. There is an activation fee of $150, making the startup cost total $2,861.25. The monthly service is $350 for ten users. Important Fine Print: The Company may, in accordance with international/national laws, block traffic to or from certain countries, area codes, cities, city codes, and local telephone exchanges; user must pay for all service, even if it misuse or abuse of the customer’s service; The Company hires a collection agency to collet late payments, and customer may be liable for an additional payment equal to 35% of charges owed; if a check bounces, there is a $10 charge; if there is fraudulent use, The Company will credit the amount back to the user provided that The Company is notified in writing within 90 days of the charge; if the service is terminated, either by The Company or by the customer, The Company is under no obligation to help the customer switch to another provider; if there is a major dispute, it is subject to arbitration. Fonality has a $500 startup fee, which you can have waived if you negotiate. You can get a discounted price of $30, which includes phones, if you agree to a 12-month contract. To get you started, there is a $50 shipping charge. Important Fine Print: If a phone is malfunctioning, Fonality may replace it with a used or refurbished model; they will pay for shipping both ways if the phone breaks, unless the phone has been mishandled; Fonality E911 is different than traditional 911; if you use E911, there will be a mandatory $25 fee each time you call; delinquent payments are subject to a 1.5% per month charge; if there any mistake or dispute in the bill, you must inform Fonality within 30 days; if the customer goes above reasonable use (1,500 minutes per month), Fonality may bill you for the overage; Fonality may make scheduled maintenance between 8PM and 2PM every Tuesday and Thursday; customer has to return phones and other hardware to Fonality within 14 days of termination of services; any disputes shall be governed by the State of Texas, and the parties waive their right to a jury trial. Broadview uses in-house phones exclusively. You have your choice of leasing the phones, and be charged for both the phones and the service, or buying the phones and being charged for the service. Either way, the price you pay is related to the phones themselves. Our quote included nine slim phones for leased for $278.91 combined per month and one executive phone for $37.99 per month. The total per month for the lease was $316.90. Alternately, you can buy the phones for $891.00 combined for the slim phones and $199.00 for the executive phone. You still have to pay the activation charge, making the startup cost $1,190.00 The recurring total price in that plan is $261.00. Important Fine Print: Broadview 911 is subject to the limitations of VoIP; E-911 does not work with any smartphone or tablet app; terms are for one year and will be automatically extended unless the customer notifies Broadview in writing more than 30 days prior to the contract ending; payments more than 20 days late are subject to a $5 fee of 1.5% past due balance; any disputes are subject to the jurisdiction of New York County, NY. Velocity has 24 and 36 month contracts. For the maximum discount, a three year plan will waive the setup fee, and give you a 10% discount monthly compared to the two-year plan. A three year plan which includes auto-attendant, music on hold comes to $211.5/mo. The price of ten Polycom SoundPoint IP 550s, including shipping, is $2,700. Velocity Networks is backed by an SLA. Important Fine Print: If you are dissatisfied with Velocity hosted VoIP, you have 45 days to notify them, and they will release you from your contract, if so you are responsible for all services rendered and used hardware is not refundable; Velocity Networks is responsible for all services on their side of the point of demarcation, any vendor services that are your own, such as broadband connection, are your responsibility. Mitel sells several in-house phones, and for this quote they recommended the Mitel 530e, which they sell for $280. There is a $4.99 one time fee for E-911, rather than a recurring fee, making the startup cost $2804. The monthly cost is $235.12 after taxes. Important Fine Print: Mitel agreement is month-to-month with a minimum of 30 days; Mitel may cut service if user is more than 35 days late in payment; Mitel has a 12-month warranty, so any phone found to have defective hardware may be replaced, fixed, or reconditioned. Finding the right provider doesn’t have to be exhausting. Generally, most providers charge between $20 and $30 per user. If you pay more, you get more, in terms of features, included hardware, or assurances of reliability. It’s important that you read through the fine print, as we have done, to learn about fees, taxes, long-term contracts, activation fees, and so on. 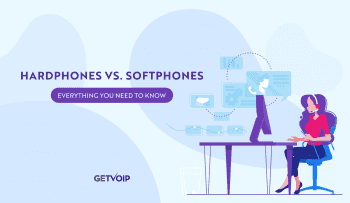 It may cost just as much to disconnect from a VoIP service as it does to connect, which is why you have to read the fine print.